Syrian peace: emergent settlement or talking in circles? Negotiations in early July will go nowhere if key players within Syria are sidelined. While the latest round of Syrian peace talks in Astana resulted in a significant milestone—namely the agreement to establish four de-escalation zones inside the war-torn country—the longer term viability of a peace settlement appears tenuous. How the zones will be implemented, and how they fit into a general plan for gradual stabilisation and lasting peace in Syria overall, is not clear. Key to this uncertainty is instability among rebels groups that have been part of the peace talks and the significance of those that have been excluded. The Astana agreement reached on June 4 was backed by Turkey, Russia and Iran—with the conspicuous absence of the US and Arab Gulf States. Nevertheless, the Syrian government and some opposition groups agreed to the establishment of de-escalation zones in four separate areas: Idlib province and parts of north eastern Latakia; an enclave in northern Homs province; Eastern Ghouta in the northern Damascus countryside; and the rebel-controlled south along the Jordanian border. 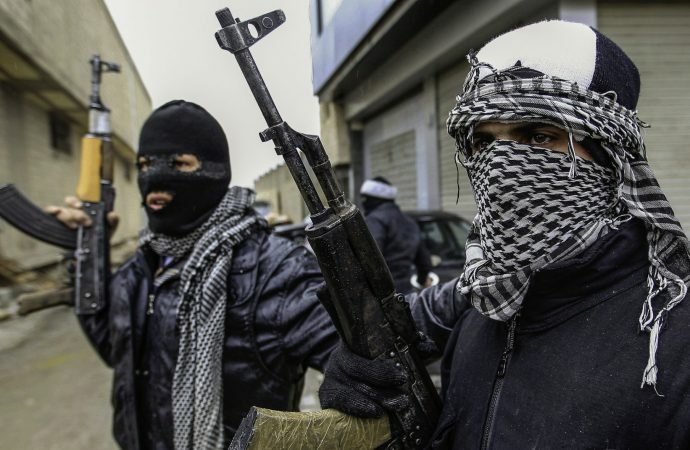 These areas are home to significant populations and much of the Idlib and Homs zones are under the control of groups in coalition with al-Qaeda linked militias such as Jabhat Fateh al-Sham (JFS). Under the agreement, hostilities between rebels and Syrian government-led forces in the zones would cease. With civilian enclaves trapped on both sides of the lines, it is hoped the ceasefire will enable evacuations. However, attacks on civilians being bused out of besieged towns near Aleppo in April—for which nobody has yet taken responsibility—illustrate the dangers associated with reliance on such agreements. Syrian peace talks began under the auspices of the Arab League and the UN shortly after fighting started in 2011. The Geneva Talks, as these negotiations have become known, have not produced any lasting results. Major powers (most notably Russia) brought the Syrian government and various rebel factions to the negotiating table. Several other discussions on Syria involving major and regional players have also been held, sometimes without the presence of Syrian fractions. The strategic situation of Syria’s multiple players has fluctuated wildly during the six year conflict. When the Assad government was on the brink of collapse, the opposition and its backers demanded the president’s resignation as a starting point for talks. The rebellion’s reversal of fortune following Russia’s intervention dramatically changed the power balance. Subsequently, while opposition delegates are still calling for Assad’s resignation, they appear to have embraced the idea of a transitional settlement with Assad stepping down later. As the rebels lost territory and international actors began committing more resources directly to the war, the importance of some opposition delegates at peace talks has seemingly waned. The relative demise of the Free Syrian Army, once the vanguard of anti-Assad resistance, is informative. 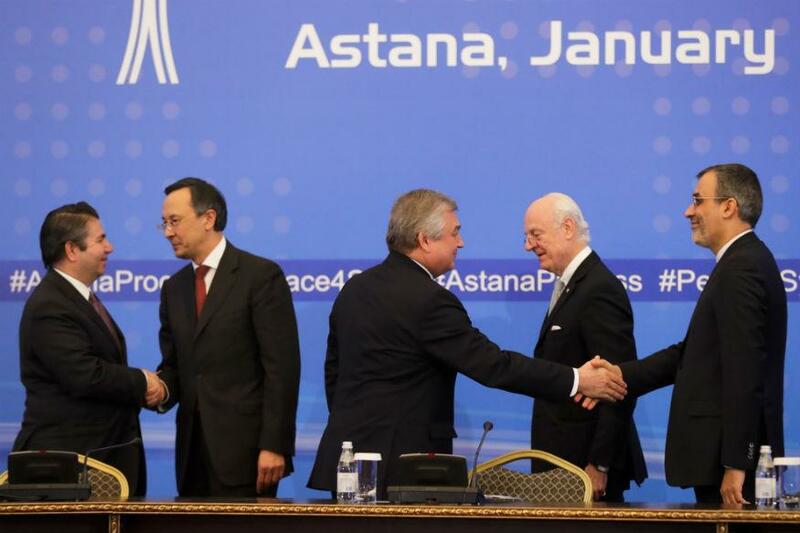 On December 20, 2016 the foreign ministers of Russia, Iran and Turkey announced the establishment of peace talks in Astana, officially to augment the Geneva Talks. However, the Astana Talks appear to sideline the UN-led process. Key powers were marginalised; the US was only given observer status. The role of Saudi Arabia also appears to have been relegated, though the Kingdom likely retains significant influence through its backing of an opposition coalition group that is a party to the negotiations. The dominance of non-Syrian parties in the resolution of the conflict may be a positive. For example, the end of the Lebanese Civil War in 1989 was due in no small part to the pressure put on the warring parties by their external backers. However, if external forces are to drive the peace talks, the lasting successes of negotiations will depend on the control they have over their proxies. Although the Assad government’s battlefield success has been dependant on Russian (and Iranian) support, Russian control over Assad’s forces is unclear. The gas attack on Khan Sheikhoun in April 2017, widely attributed to Syrian government forces, was a key spur for US reengagement and could suggest limits to Russian control over Assad and his forces. This instability of command magnifies risk to a negotiated ceasefire or larger settlement plans. Turkey’s ability to rein in the jihadi Salafi groups present at the talks is even less certain. Yet of far greater danger to Syrian peace initiatives—and specifically the de-escalation zones—are those rebel groups who have not participated. Due to Turkey’s conflict with the Kurdish Democratic Union Party (PYD), PYD representatives have been excluded from the Astana Talks. 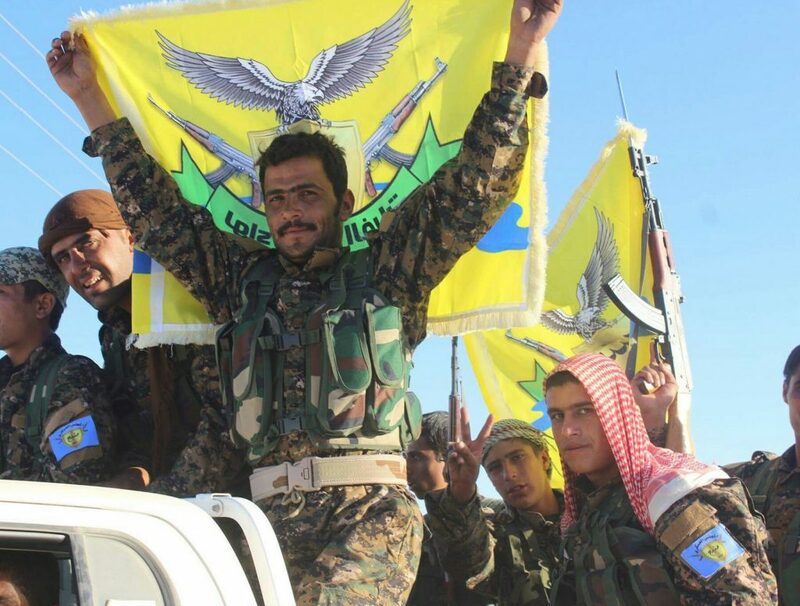 However, PYD-led forces control significant territory, have an alliance with the US and are a key force assaulting the Islamic State’s self-proclaimed capital of al Raqqa. Until recently the PYD also had a working relationship with the Assad government and Russia, though the group now appears to have become central to an escalation of tensions between the US and the Russians, Iranians and the Assad regime. Regardless, achieving an effective Syrian peace settlement without incorporating the PYD is an unlikely prospect. Militias designated as terrorist groups by Russia and Western states have been barred from not only peace talks but also ceasefires. This includes the Islamic State, which—despite being under siege at its self-proclaimed capital of al Raqqa—will likely retain the ability to undermine any settlement. A campaign of targeted bombings as former adversaries attempt to rebuild the country could easily shatter the low levels of trust and reignite conflict. 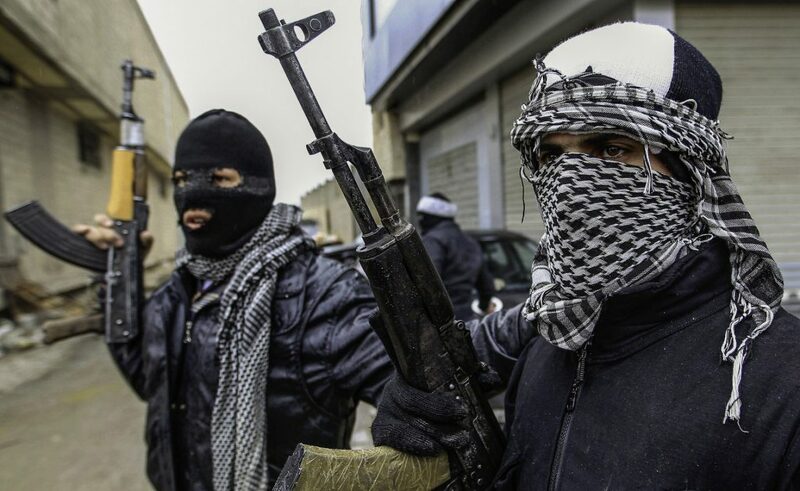 Additionally, the al-Qaeda aligned JFS (formerly al-Nusra Front) continues to control substantial territory, spread across two escalation zones, and there are no indications that Russia is willing to commit further resources to assist the regime in recapturing it. The group remains well armed and equipped and it continues to dominate other opposition groups, even taking over some jihadi Salafi groups. While JFS has renounced its link to al-Qaeda, it is still considered a viable target under the ceasefire agreement. But excluding such a significant player from negotiations—though understandable given JFS’s ideology and practices—carries obvious risks to any peace settlement. It is too early to determine whether the Tehran terrorist attacks on June 7—for which the Islamic State claimed responsibility—will have an effect on Iran’s attitude towards JFS; one of the reported reasons for the split between the Islamic State and JFS was the latter’s refusal to target Iran outside of Syria. With the next rounds of the Astana and Geneva Talks scheduled for July 4-5 and July 10 respectively, it is difficult to see how international actors or even Syrian representatives can advance the peace process in a meaningful way.